New types of facilities include prisons, schools, libraries, museums, marinas, hospitals and arcologies. Players can build highways, roads, bus depots, railway tracks, subways, train depots and zone land for seaports and airports. 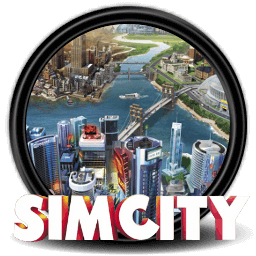 There are a total of nine varieties of power plants in SimCity 2000, including coal, oil, natural gas, nuclear, wind turbines, hydroelectric dams (which can only be placed on waterfall tiles), solar and the futuristic fusion power and satellite microwave plant. Most types of power plants have a limited life span and must be rebuilt periodically. Players can build highways to neighboring cities to increase trade and the population. The budget and finance controls are also much more elaborate—tax rates can be set individually for residential, commercial and industrial zones. Enacting city ordinances and connecting to neighboring cities became possible. The budget controls are very important in running the city effectively. Another new addition in SimCity 2000 is the query tool. Using the query tool on tiles reveals information such as structure name and type, altitude, and land value. Certain tiles also display additional information; power plants, for example, display the percentage of power being consumed when queried, and querying roads displays the amount of traffic on that tile. Querying a library and selecting "Ruminate" displays an essay written by Neil Gaiman. Graphics were added for buildings under construction in the residential, commercial, and industrial zones, as well as darkened buildings depicting abandoned buildings as a result of urban decay. Note: This game is for DOS and to play it on computers with newer versions of Windows you will need a DOS 'emulator' like D-Fend Reloaded. Download and install D-Fend Reloaded. Click on the Download Now button above. Extract the zip file contents to a folder and remember the path. Open D-Fend Reloaded, go to File->Import->Import Folder and choose the folder where you extracted the game. Still in D-Fend Reloaded choose the game you want to play and press 'Run'. Relive those childhood memories of playing on the classroom computer this educational and fun game. The general goal of this 90's games is to create a series of Rube Goldberg devices. Sid Meier's Civilization is a turn-based strategy "4X"-type strategy video game created by Sid Meier and Bruce Shelley for MicroProse in 1991.